I normally do not repost, but I felt like an update was in order for this particular animated comic book movie animated film. The Dark Knight and the Heroes In The Half-Shell are coming together not just in the comic books, but also in the form of a movie. I cannot begin to tell you how excited I am about this. According to SyFyWire, Warner Bros. Animation and Warner Home Entertainment are teaming up with DC Entertainment, Nickelodeon, and IDW Publishing to adapt the 2015 crossover between the Batman Family and the Teenage Mutant Ninja Turtles from writer James Tynion IV and artist Freddie Williams II. 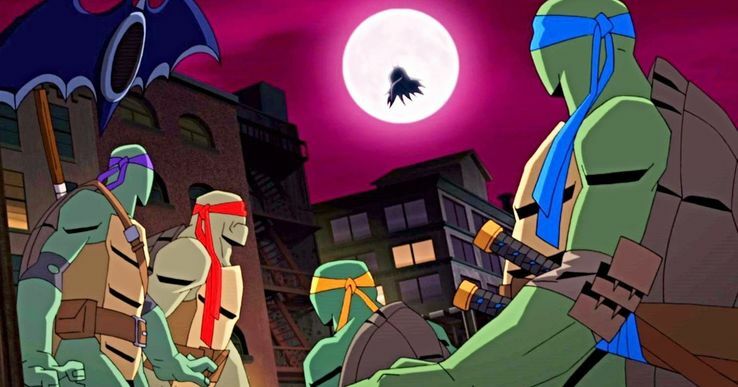 The miniseries would spawn a sequel and another version based on Batman TAS and the 2012 TMNT series. This upcoming film has an all-star cast including Troy Baker as the voice of Batman and the Joker with Eric Bauza as Leonardo Darren Criss as Raphael, Kyle Mooney as Michelangelo, and Baron Vaughn as Donatello. Rachel Bloom, Tara Strong, John DiMaggio, Cas Anvar, and Tom Kenny have also been announced. What do you think? Let me know in the comments below. Tell me if there is a comic book, movie, or novel you would like me to review. While you are at it, read article New ‘Avengers Endgame’ Trailer Dropped Like Dynamite and my comic book review of Batman issue 66. Don’t forget to like, share, and subscribe for more posts like this one.